In choosing the type of life insurance policy you purchase, consideration must be given to the need which is being filled, e.g., creation of an estate, payment of estate settlement costs (federal and state death taxes, last illness and burial costs, probate fees, etc. ), business buy-out, key-man coverage, etc. Level premium, decreasing coverage, no cash value: Suitable for financial obligations which reduce with time, e.g., mortgages or other amortized loans. Increasing premium, level coverage, no cash value: Suitable for financial obligations which remain constant for a short or intermediate period, e.g., income during a minor’s dependency. 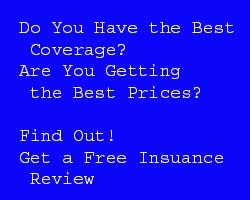 Level premium, level coverage, no cash value: The annual premiums are fixed for a period of time, typically 5, 10, 15 or 20 years. Suitable for financial obligations which remain constant for a short or intermediate period, e.g., income during a minor’s dependency. Level premium, level coverage, cash values: Cash. value typically increases based on insurance company’s general asset account portfolio performance. Suitable for long-term obligations, e.g., surviving spouse lifetime income needs, estate liquidity, death taxes, funding retirement needs, etc. Level or adjustable premium and coverage, cash values: Cash values may increase, based on the performance of certain assets held in the company’s general account. Suitable for long-term Obligations or sinking-fund needs: estate growth, estate liquidity, death taxes, funding retirement needs, etc. Level/adjustable premium, level coveraqe,* cash value: Suitable for long-term Obligations, for those individuals who are more active investors, and for estate growth and death tax liquidity. Note: Withdrawals and loans may be available from permanent policies. Withdrawals and policy loans will have the effect of reducing the death benefit. There are different income tax consequences if they are modified endowment contracts. * Can be increased by positive investment performance. The policy owner directs cash values to a choice of investment accounts (bond, stock, money market, etc.). However, cash values are not guaranteed.